Recently I wrote about our first family trip to New York and where we stayed, which you can read here. This next post is about some of the things that we did during our 5 night stay in the big apple. Some of them are obvious tourist destinations but some of them are just things that were recommended to us by friends who had visited before or that we had read about when researching exactly what this city has on offer. This is in no way an exhaustive list, it’s merely touching the tip of whats on offer but I thought some of you planning a visit to New york, might find it helpful? I know I read loads of blogs before our visit and they were very insightful. 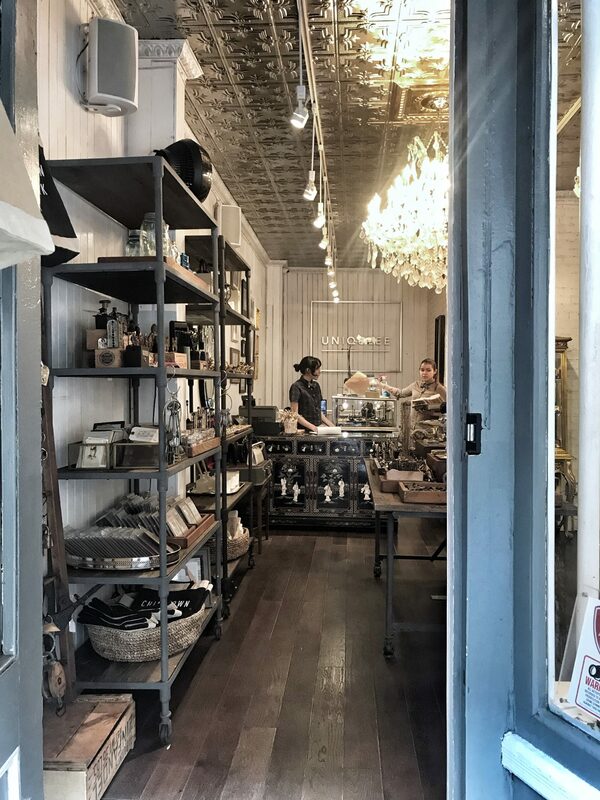 Shop – There are just so many opportunities to shop in new York that it would be foolish of me to list the many many shops we went in, some incredible, hello ABC Carpet & Home and some no better than what we have on offer in the UK, which was a surprise in itself? But by far my favourite was Fishs Eddy. 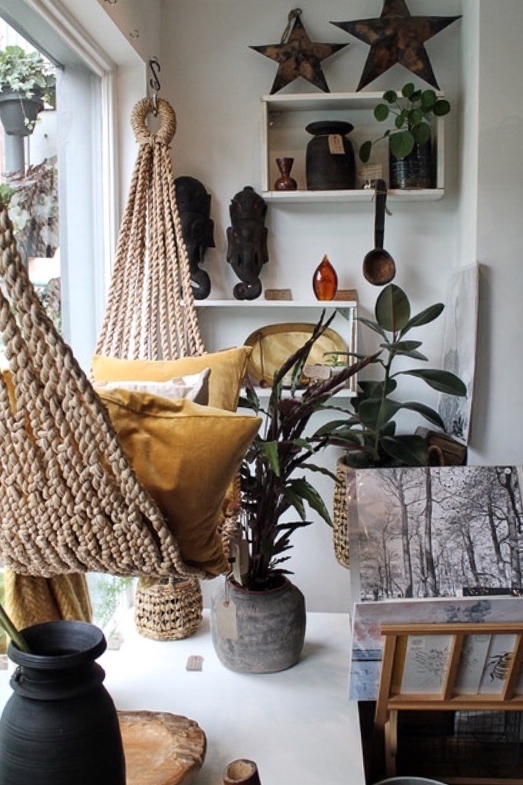 This store started 25 years ago and sells homewares. 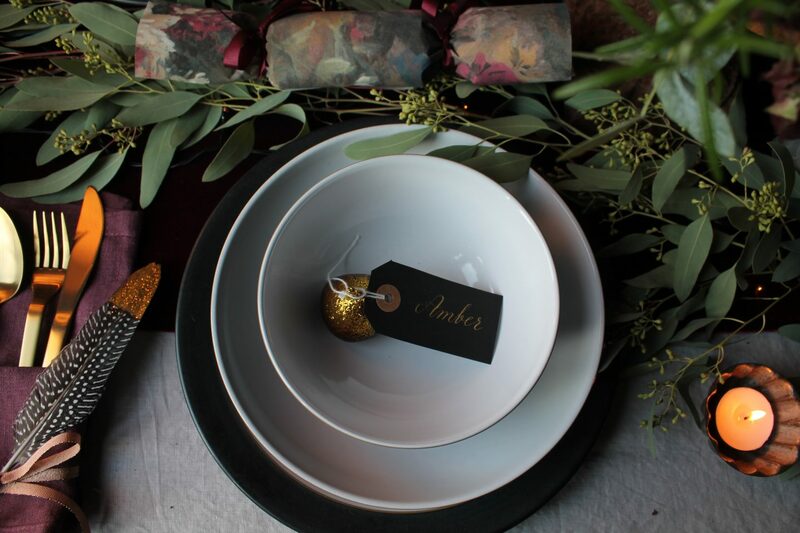 It specialises in dishes and table ware, inspired by old hotels and roadside cafes. It is pure retro Americana and the mix of original authentic vintage and really good repro is amazing. I loved the amateur oil painting portraits they specialise in and would have brought some back in my suitcase if I had not discovered Fishs Eddy on our last morning when we had almost run out of dollars. 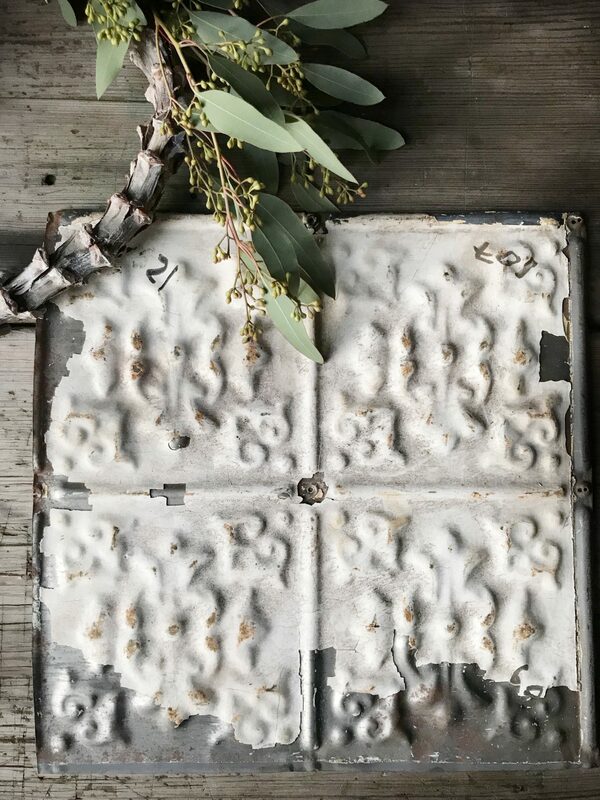 What I did buy and bring back though were my beloved vintage metal numbers which I have hanging in my kitchen that remind me of our trip every time I look at them. 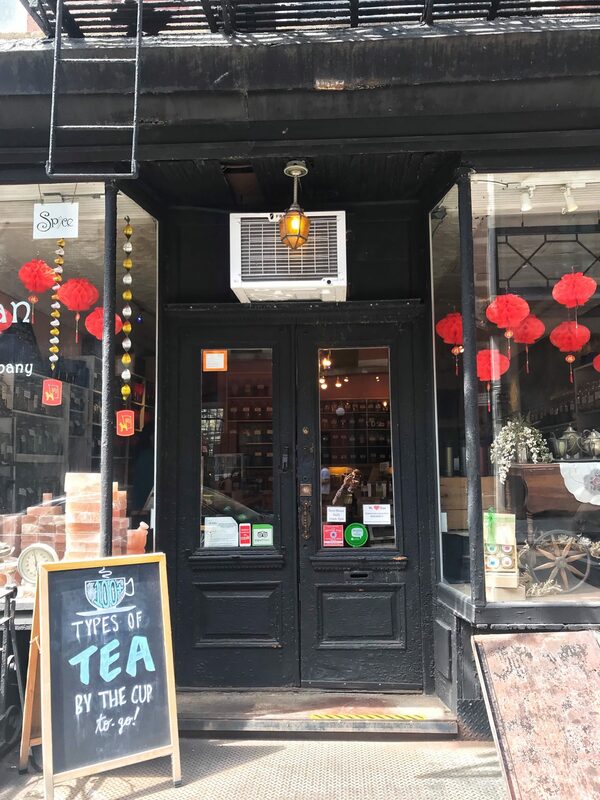 I also really enjoyed walking around China Town which was so vibrant and full of amazing Chinese supermarkets, tea shops and restaurants as well as interiors and clothes shops selling a selection of tourist tat and some really beautiful items. I could also tell you a story about our son, being led down a side street by a vendor with a suitcase of merchandise for sale and watches up to his armpits, but I won’t go into detail for obvious reasons! Safe to say you can buy all sorts of very unkosher items in China town! 2. 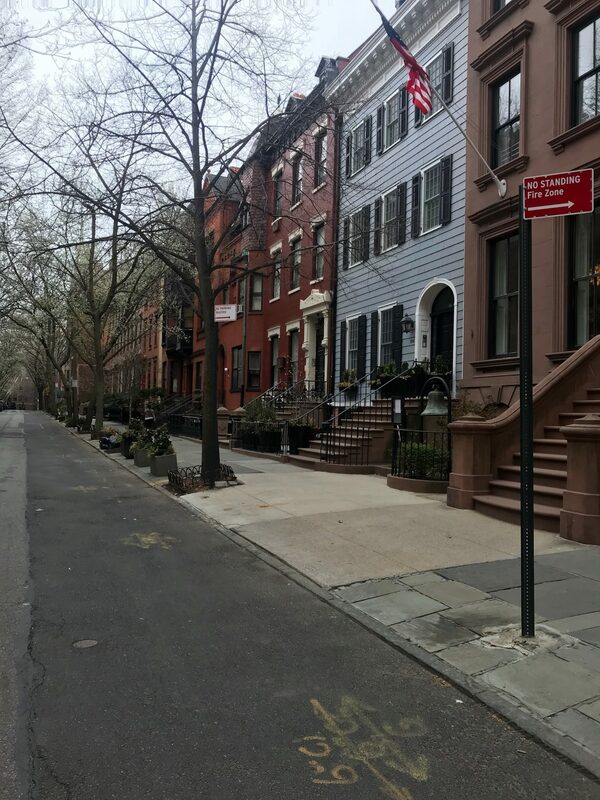 Walk – Take a walking tour of one of the village areas, such as Lower East Side, Greenwich or Harlem. 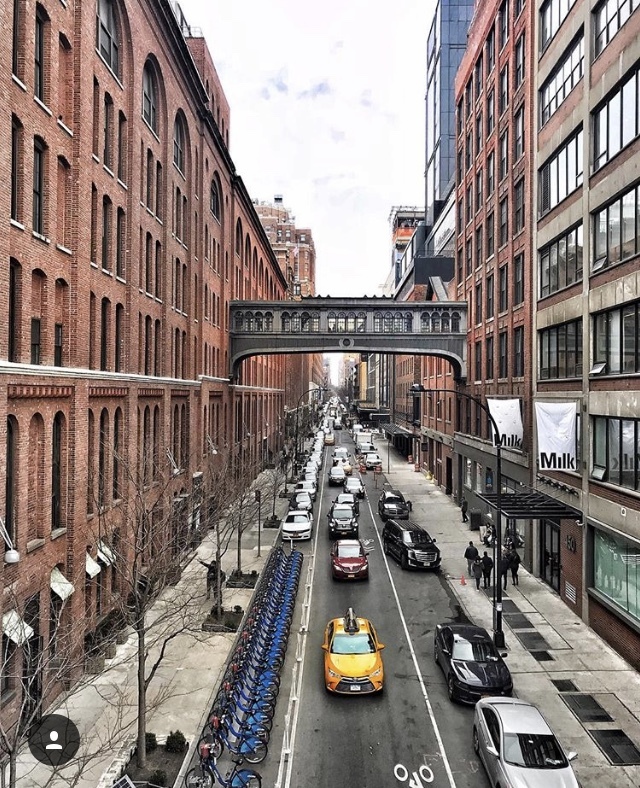 You will be taken around the area by a local guide who knows the district inside and out and it’s such a fascinating way to spend a couple of hours getting to know one of the lesser know areas of New York where the locals live. We chose to walk around Greenwhich with our guide who was so knowledgable and we got to see and find out more about the legendary Jazz club Cafe Society where Billie Holiday first sang “Strange Fruit” a very political song of it’s time and Cafe Wha where the some of the American greats such as Lenny Bruce, Joan Rivers, Bob Dylan, Jimi Hendrix and Bruce Springsteen to name a few, have performed and been discovered. She also took us to The Stonewall bar where the Stonewall riots culminated into what became the gay liberation movement and eventually Gay pride festival to commemorate the event and the people lost to the cause. 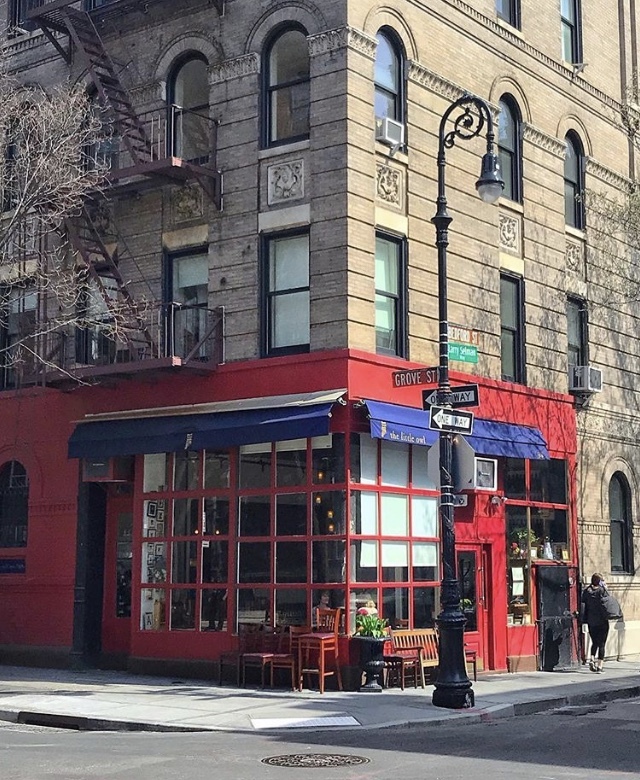 And of course, it goes without saying we visited the famous corner side apartment where our friends Rachel, Ross & Phoebe & Co lived in the early 1990’s. We booked our walking tour through New York City Pass, which have a range of many, but there are other companies that run these events. 3. See – The Manhattan skyline lit up at night from the best view in New York, The Top of The Rock. Everybody tells you you must go up to the top of The Empire State Building but guess what you can’t see from there? The Empire State building! 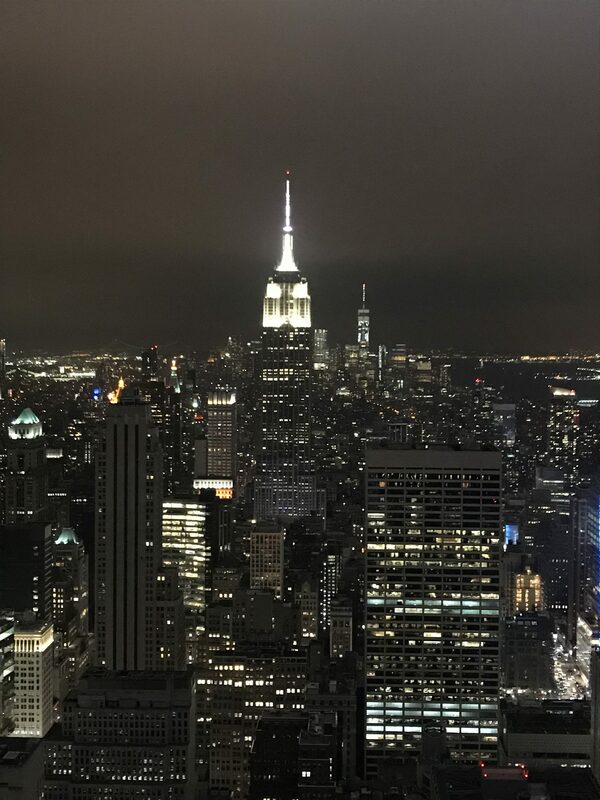 By far the best view of the skyline and the iconic Art Deco Empire State is from The Top of The Rockerfeller Centre and you can then go down into the bar and watch the ice skaters outside. Yes people were still ice skating in April! 4. Ride – The subway and a yellow taxi. New York is very walkable but sometimes you’ve just got to tick some boxes when you go to a city. One of them for us was hailing a yellow cab and guess what they are very cheap and plentiful. About $11 for a ride across Manhattan. When you want to go further afield, such as Brooklyn or Coney Island, the subway is quick, cheap, clean and safe. Don’t believe what you’ve heard, it was unsafe back in the day before Mayor Giuliani cleaned up the city but now it’s just the same as any other under ground system around the world, no problem at all. 5. 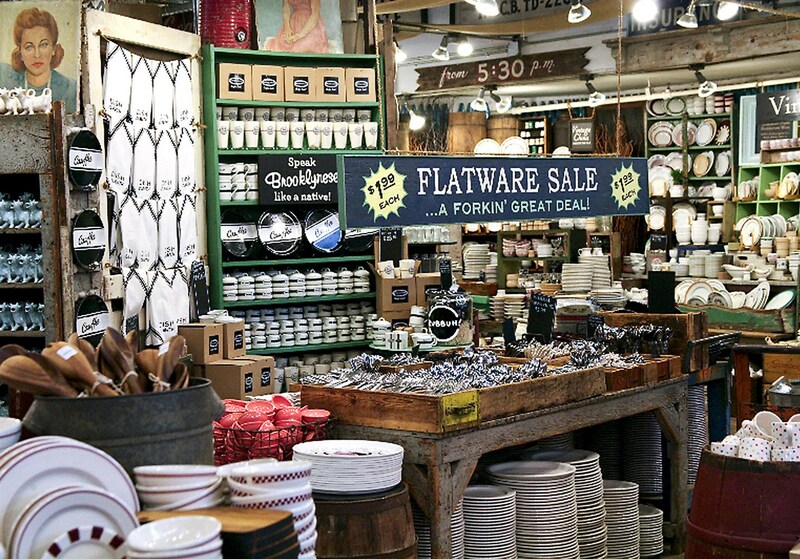 Eat – Try everything that conjures up new York! A burger, a New York Cheesecake and if you’re a fan of The Sopranos A cannoli with an Americano. Obviously being coeliac, I couldn’t try the cannoli, but my son George who is a huge Soprona’s fan, tried one in Little Italy and said they were better than he ever thought! 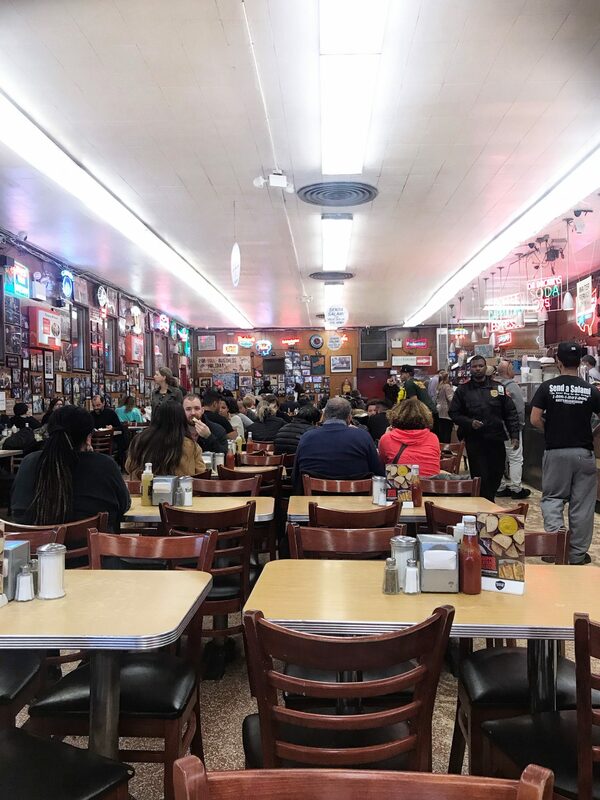 Go to Katz Deli in Lower East side, the location of the most famous scene in When Harry Met Sally. The Pastrami on Rye with pickled Gherkins is to die for and the place is so authentic, it’s almost unchanged since the first Jewish immigrants settled there and Katz opens it’s doors in 1888. Be prepared to queue though. We were lucky and walked straight in but apparently that is very lucky? Worth the wait though for sure! 6. Cycle – You wouldn’t think a city like New York to be particularly safe for cycling, but I would definitely recommend hiring a bike to get around Central Park, one of the largest inner city green spaces in the world. It has one continuous circular path around the park, with designated cycling, jogging and walking lanes, making it all very organised and safe, as long as you stick to the right lane. 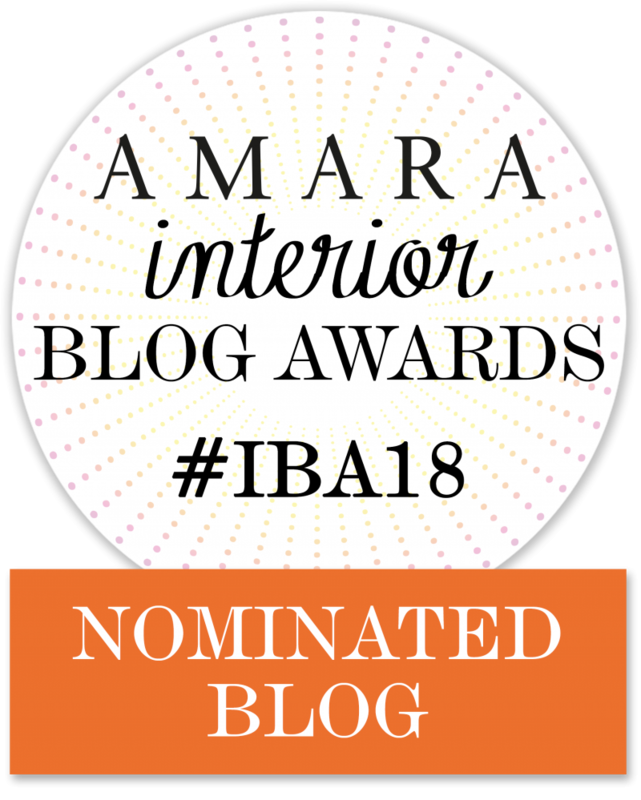 Be prepared to be sworn and hollered at if you don’t! This didn’t happen to us fortunately but I heard some pretty rich language being expressed a few times at people who broke the rules! Bikes can be hired through Bike Rental Central Park or through your New York City pass, which we did. The more attractions you pay for on your pass the cheaper they become and if you buy the flexi pass, you can decide which attraction you want to do on any day of your visit. 7.Hear – There are many music venues all over New York but as a life long fan of Woody Allen ( I know that’s not very PC to say anymore, but I was brought up on his films as a child & I think he’s a genius of his craft,) going to a Jazz club in new York was a long held dream of mine. We chose Birdland in Hells Kitchen just off Times Square. It’s one of New Yorks best known Jazz Clubs, has no age restriction which was great as Amber was only 16 and they have a choice of 3 shows a night. It was magical and everything I hoped it would be. Entry was about $30 but you get your first drink of choice at the bar with this. 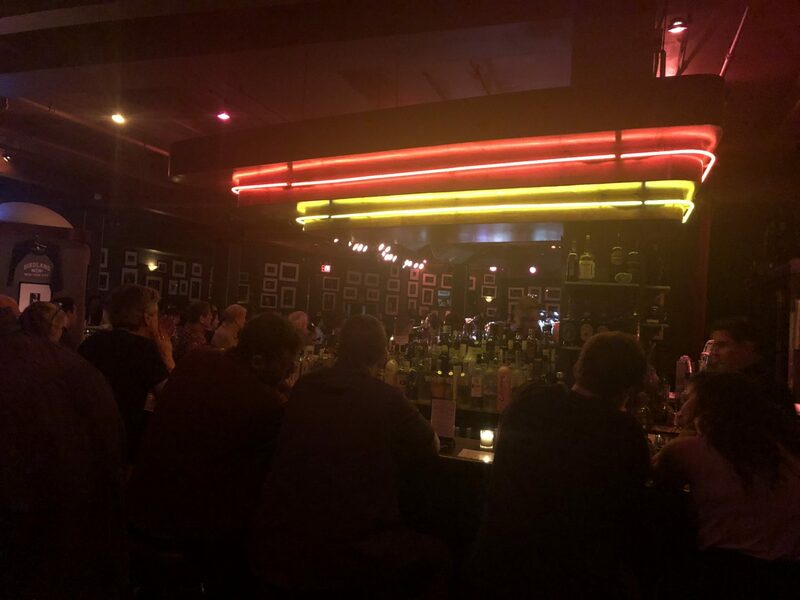 It’s dark and moody and intimate and the resident band who we saw perform where tight and professional and played a wide range of genres of Jazz. The calendar of events and acts can be viewed here and tickets can be booked online in advance to avoid disappointment. 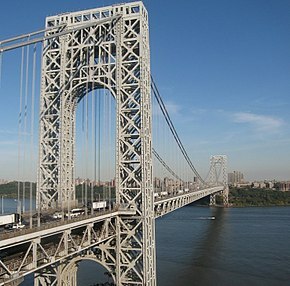 8.Cross the river – Walk over The Brooklyn Bridge or ride the Subway to Brooklyn. 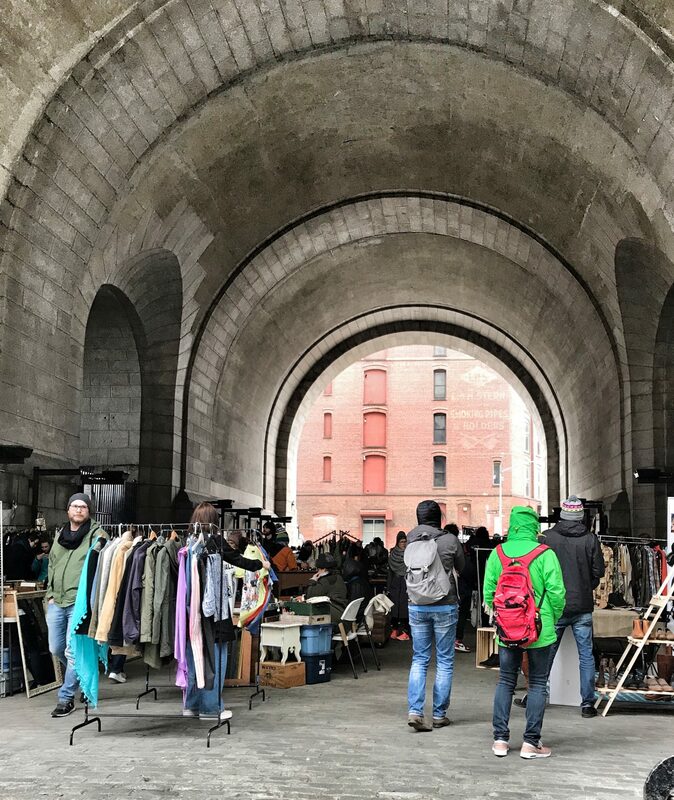 We disembarked at Brooklyn Heights to look in awe at the multi million dollar brown stone buildings, then walked along the side of The Hudson river to The Brooklyn Flea market at Dumbo. It was good but very expensive compared to UK antique and vintage prices. George our son got a haircut in a Brooklyn barbers, something he had wanted to do and then we got a taxi to Williamsburg which is a fantastic, very trendy area which has been gentrified in recent years and is now home to High Street stores such as Apple and Urban Outfitters as well as many small independent stores and lots of very cool vintage shops. Amber our daughter, bought her end of school, prom dress, from a Korean fashion designer who had a lovely shop in an old sugar factory, complete with Brooklyn tin tiles on the ceiling. 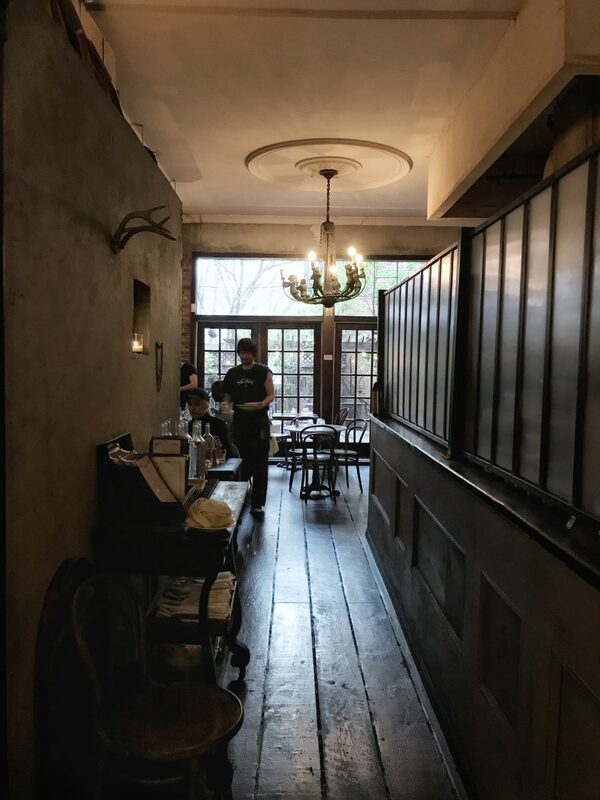 Some restaurants and bars I can recommend are Juliette and The Rabbit hole, both very bohemian and atmospheric. 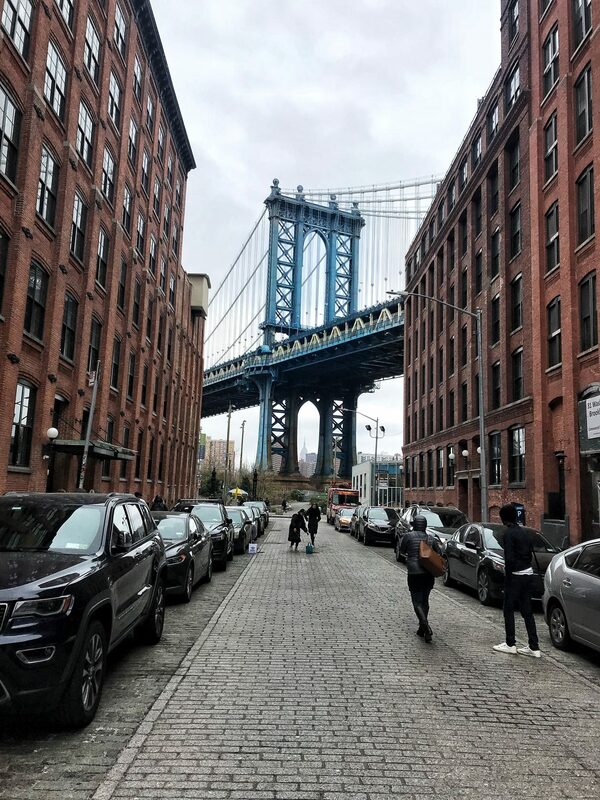 We loved Brooklyn and Williamsburg especially and would perhaps consider basing ourselves there next time and exploring that area more? 9. Visit – A museum. The best Manhattan museums are in Uptown next to central Park. I’m ashamed to say that although going to MOMA was definitely on our list, the amazing warm sunny April weather seduced us and we ending up just walking around admiring all the sights and the architecture and just listening to people talking in that fabulous New York accent. But as you would expect in any large city, the museums are unrivalled and of course MOMA is home to all the great contemporary modern American artists such as Jackson Pollock, Edward Hopper, Mark Rothko, Jasper Johns, Roy Lichtenstein. In fact as I’m typing this I can’t believe we didn’t go? I suppose that’s the reason I need to go back? Also the amazing Frank Lloyd Wright designed Guggenheim museum is in this vicinity. 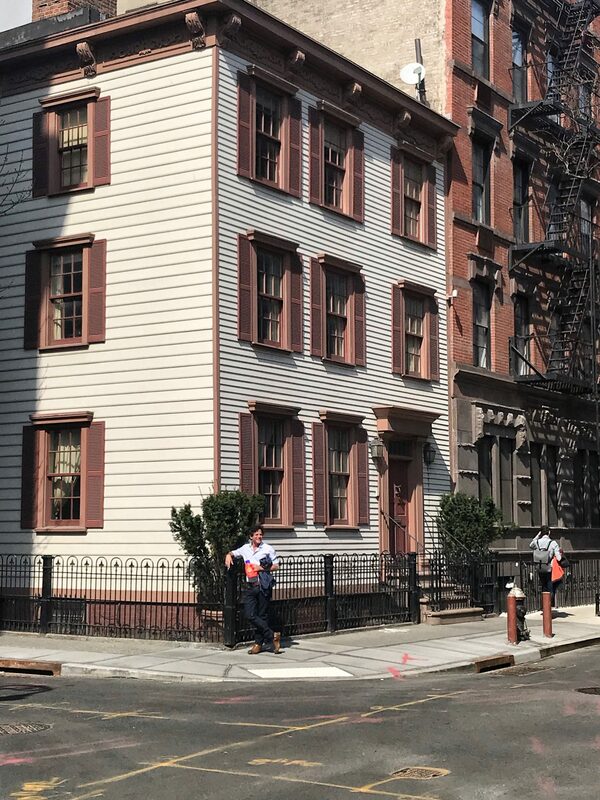 I did catch a glimpse of it’s curved white walls through the trees of Central Park as I whizzed past on my bike, but again I’m quite embarrassed to say I didn’t venture any further than that. I think this goes to show just how much New York has to offer. Museums and galleries are almost always my first port of call when visiting a city and to say I didn’t go to one in New York speaks volumes about what is on offer in the city. Just for anybody reading this who is intending on visiting Moms, entry is free every Friday evening from 4.00pm – 8.00pm or if you have the New York City pass, this is one of the free attractions you can use your pass for? 10. Drink – A Manhattan. You’ve got to surely? 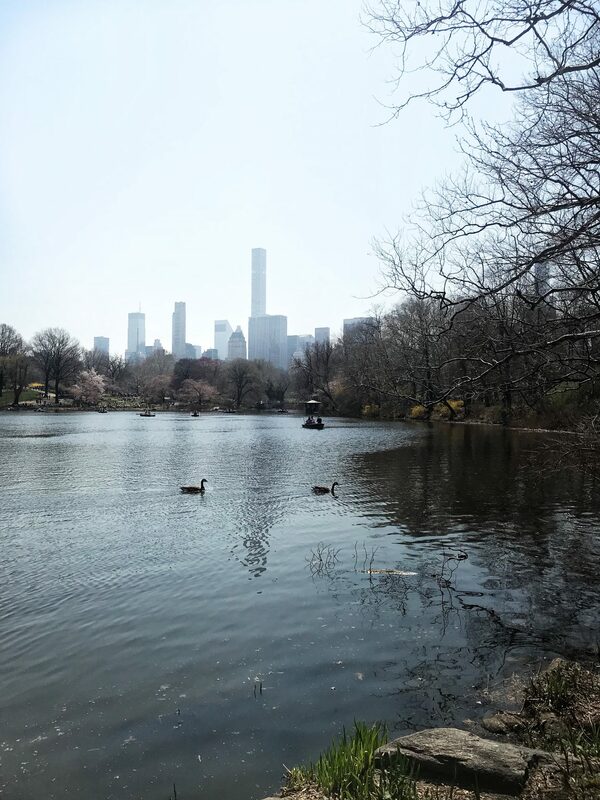 Ever since my daughter has been a little girl watching films such as Annie and Home Alone, and then as a teenager, Gossip Girl, she has longed for a trip to the Big Apple. I promised her many years ago that when she turned 16 I would take her for a special birthday treat and not being one to make false promises, when the time came last December for her birthday, I presented her with tickets and a hotel booking, tucked inside her birthday card. 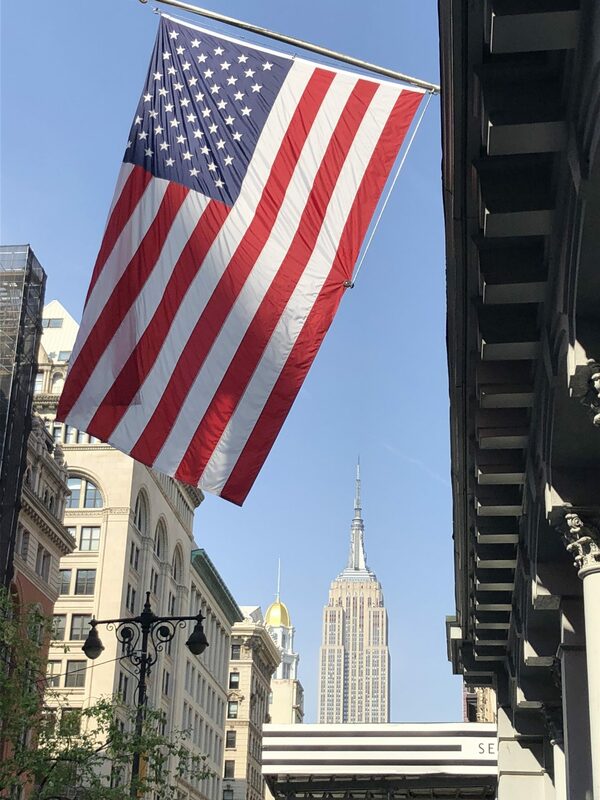 This trip was just as exciting for all the family, as none of us, other than our elder son had visited the US before and New York was a treat we were all going to enjoy together. 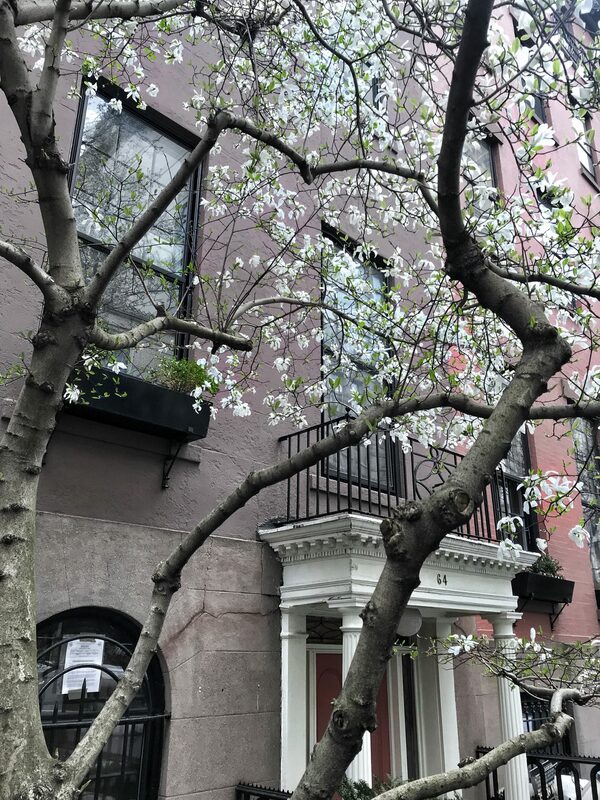 Our trip was booked for April, which we discovered was such a perfect time to visit New York, not too hot, not too cold, but warm and sunny with the cherry blossom trees in full bloom, making the city look a lot prettier than I ever imagined. But more of the city in a later post. I wanted to break this post down into two separate parts as there is just so much to say about New York and I’ve been asked by quite a few people through my instagram account, who are planning a trip, if I could give them some ideas of where to stay and what to do when they arrive. 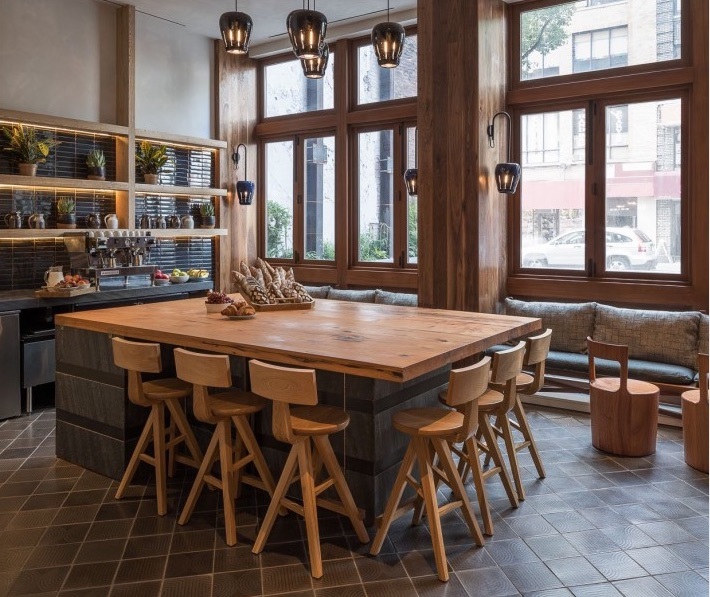 So I though the perfect start would be to write about our hotel, MADE and the surrounding area of Nomad in Mid town where the hotel is located. 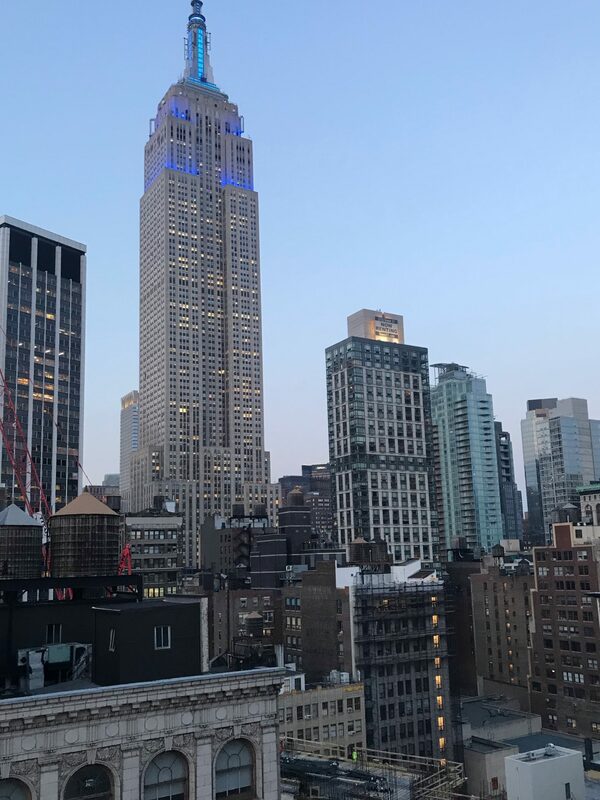 This post is not sponsored or paid for by MADE, it is my own words and opinions but, I thought as we had such a great experience at the hotel, it would be useful to recommend it to any of my readers that are thinking of going to New York? We arrived at JFK airport after a fantastic and very comfortable flight with Thomas Cook Airlines. We wondered how it would compare to other flight companies who were more expensive, but I have since compared notes with a friend who flew a few weeks before us with Virgin and it seems that we got pretty much the same service and deal for only £320 return each. This included, two hot meals, lots of leg room & blankets and a pillow for the return evening flight. Films were included in the price and you could upgrade for £5 each for new releases and a more varied range. After standing in the immigration queue for about 1.5 hours we found our taxi driver waiting for us. We had pre booked a taxi with Rideways from the airport to our hotel which was a great idea as we didn’t have to queue and the fare was exactly the same as jumping in a yellow taxi at the airport. There are obviously other cheaper modes of public transport to get you to Manhattan but quite honestly after a long flight and a couple of hours at immigration the $50 fee was well worth it? If you’ve never been to New York, as we hadn’t, nothing can prepare you for the sight of the Manhattan skyline as you drive over George Washington bridge. I defy anybody not to have the words 0f “Empire State of mind” running through their head at this moment or re-imagine that scene in The Great Gatsby as the main characters drive into the city from Connecticut. On arriving at the entrance to MADE Hotel you can immediately see how new the building is and how the area is quickly changing. 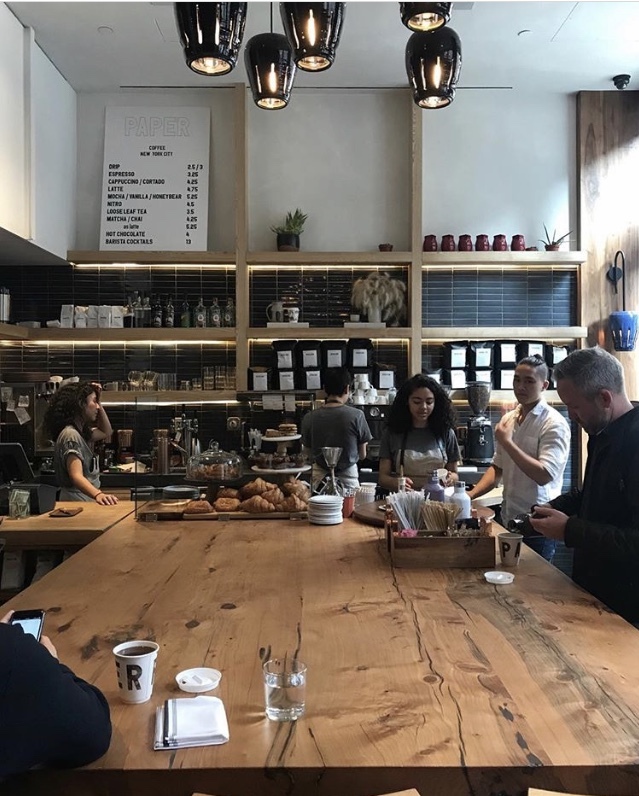 MADE is wedged between two existing older buildings and completely clad in dark wood, like a giant log cabin in the middle of a city. This is an area under construction and in the midst of gentrification, home to some very stylish global leisure and retail brands. 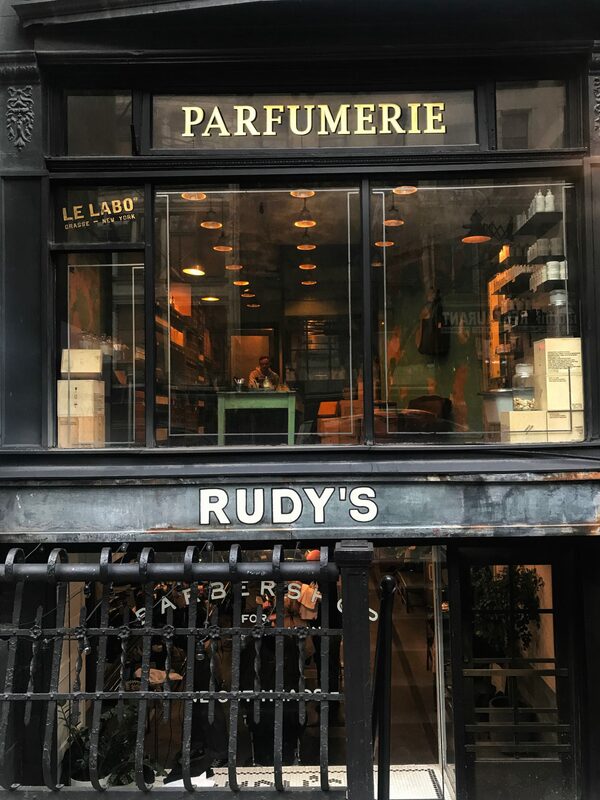 On the same road is the Ace Hotel and Le Labo perfume store and Opening Ceremony is just around the corner. 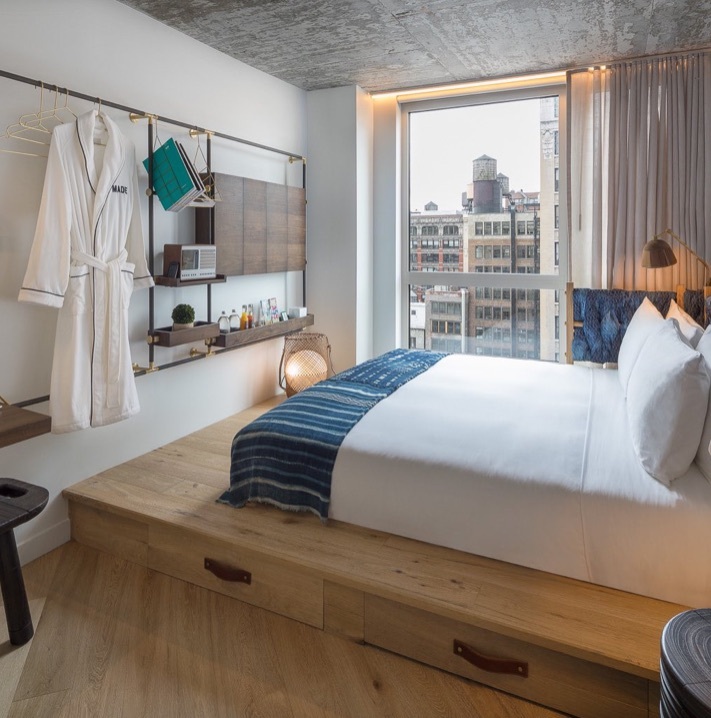 Nomad, meaning North of Madison Square Garden, was given it’s new name in 1999, and is the perfect area to stay for your first trip to the city. Mid town, is as it says, the middle of Manhattan island. So you are perfectly placed for discovering either end of the island, Uptown, around the museum and gallery area and Central Park and Downtown, Wall Street and the Staten Island ferry terminals for trips to The Statue of Liberty. We were greeted by the very friendly staff and immediately knew we would feel at home in this vibrant, modern hotel. The ground floor area, consists of a bar area and separate coffee lounge, Paper, which was full of young people working away on laptops. 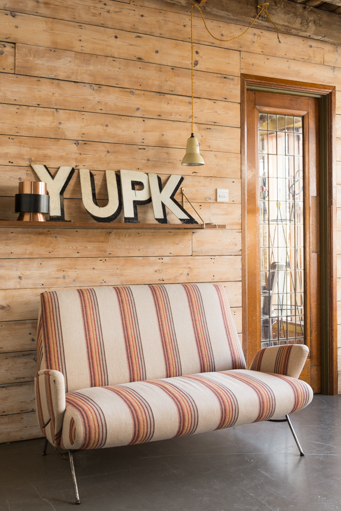 This hotel is the perfect resting place for a city nomad, the millennial generation, who can work remotely from any city providing there is excellent WIFI, craft beer, good coffee and a community atmosphere. MADE is one of these new styles of hotel. Our room was a family room for the four of us. A bit worrying I know for four adults, 2 parents & 2 grown up kids, to share such a modest space for 5 nights but, although the room was small, a given in most city hotels and particularly New York, the oversized windows with amazing views over the Mid town water coolers and town houses, gave a greater sense of space. 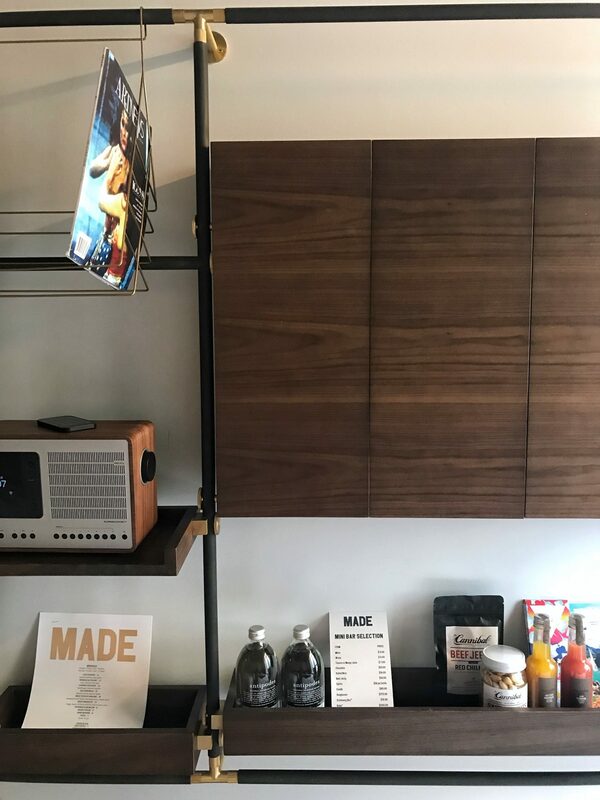 The room was well designed, using a mix of raw materials, such as concrete, wood and stone, with a large and spacious bathroom with walk in power shower, quality towels and bed linen and lovely toiletries. I did quickly note the New York extortionatley priced mini bar, peanuts $14, bath robe $250 and laid down the house rules (don’t touch!) before the kids managed to run up a bill we weren’t expecting! Other great areas of the hotel that we discovered as the days unfolded were Ferris restaurant, with it’s open kitchen, serving fresh seasonal urban food by a noted New York chef and the amazing roof top bar ,Good Behaviour, serving afore mentioned craft beers, sharing cocktails and tiki inspired drinks. What the bar doesn’t prepare you for is the astonishing, almost reach out and touch it, view of the Empire state building. In the evening, this view takes your breath away! Note to anybody with teenagers staying here, nobody under the age of 21 is allowed up there, even if you are guests. The US have very strict licensing laws and they stick to the rules ridgildly but, if you’re lucky a staff member might let your children take a sneak peak of the view. 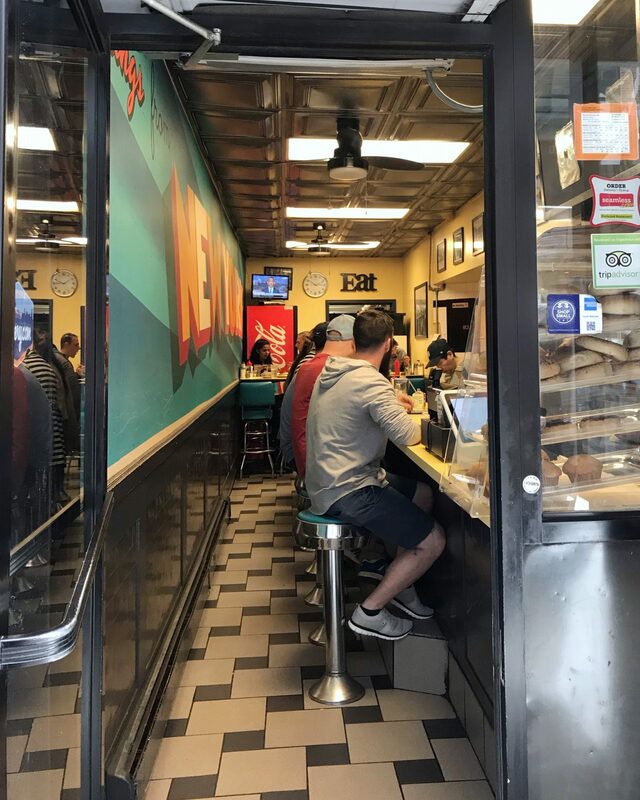 If you don’t want to eat breakfast at the hotel every day and fancy the all American diner experience, I can recommend two great diners both within a 5-10 minute stroll away. 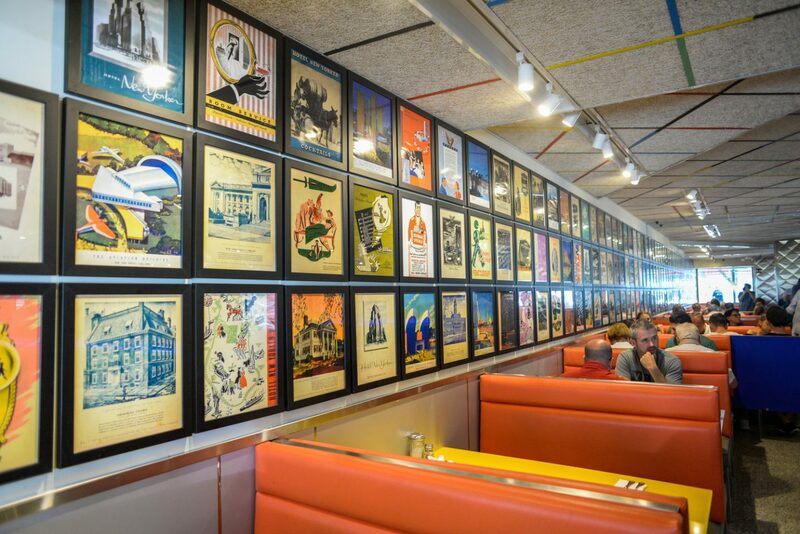 First up is Tick Tock Diner, very famous in this part of New York and used by the staff of The New York City Fire Department which is close by. It’s very authentic, the food is amazing and very varied but it’s quite expensive if you’re eating as a family. $80 for breakfast for 4 was not unusual for us? 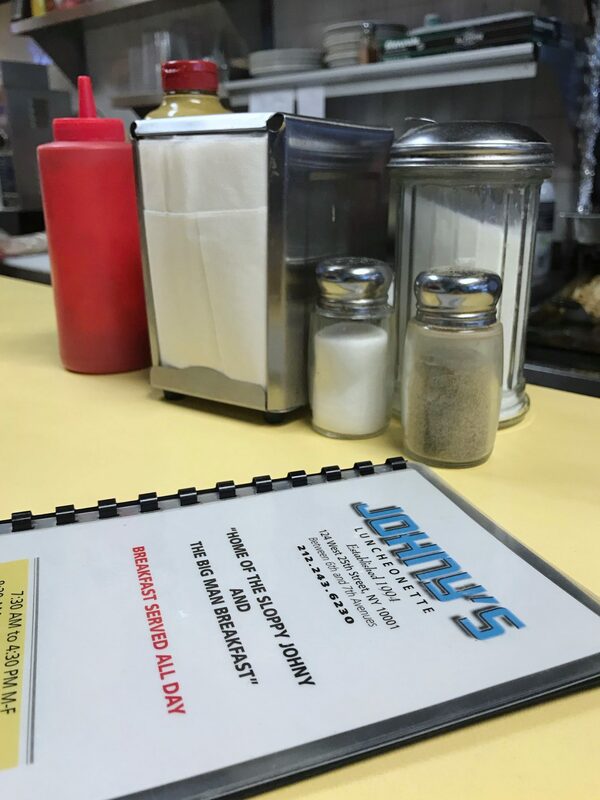 A cheaper and just as good, but very small and you might have to queue outside, is Johnys Luncheonette, which quickly became a favourite of ours. It seats probably 8 at the back of the diner and has a long counter seating approximately another 10 people, but the food is delicious and quick and half the price of Tick Tock and Johnny & his staff are so friendly and quickly remembered we were the Manchester family and knew our drinks order as soon as we walked in after the first time! 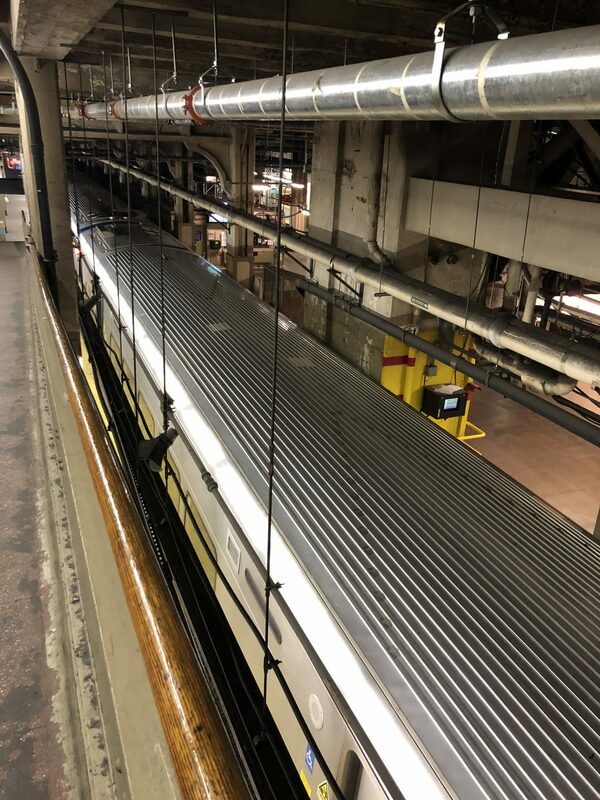 Thats New York service for you! Finally just for anybody suffering from Coeliac or a gluten intolerance and thinking you won’t be able to enjoy a New York burger whilst you are in the city, I can highly recommend Friedmans. I always do a bit of research before I travel just to check out my options for local food establishments and Friedmans was where we ate on the night we arrived. They have a branch just around the corner from MADE, about a 10 minute walk, but others are dotted around the city, 6 in all. The atmosphere is fantastic, they have a great selection of gluten free food and beer and it’s reasonably priced. A definite recommendation from me. 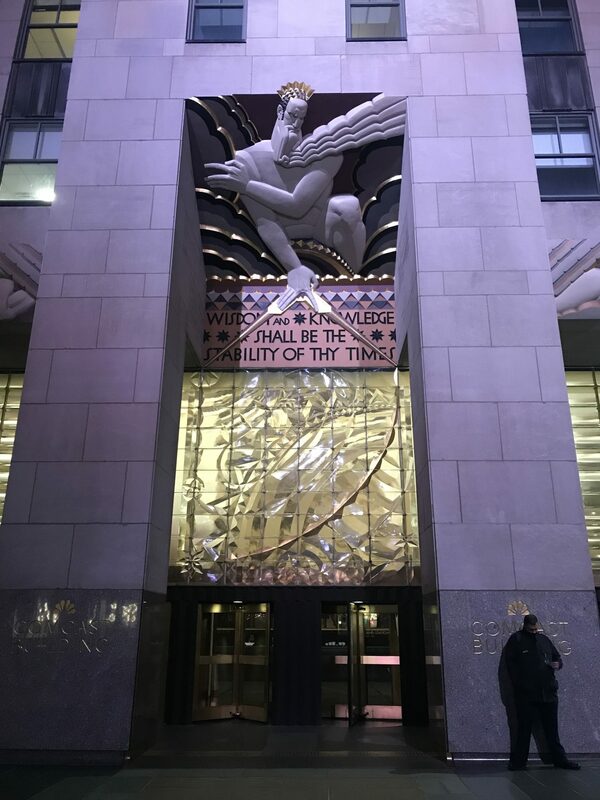 For my next post on some of the best things to do on a first trip to New York, please subscribe and keep reading and I hope you found this post useful? 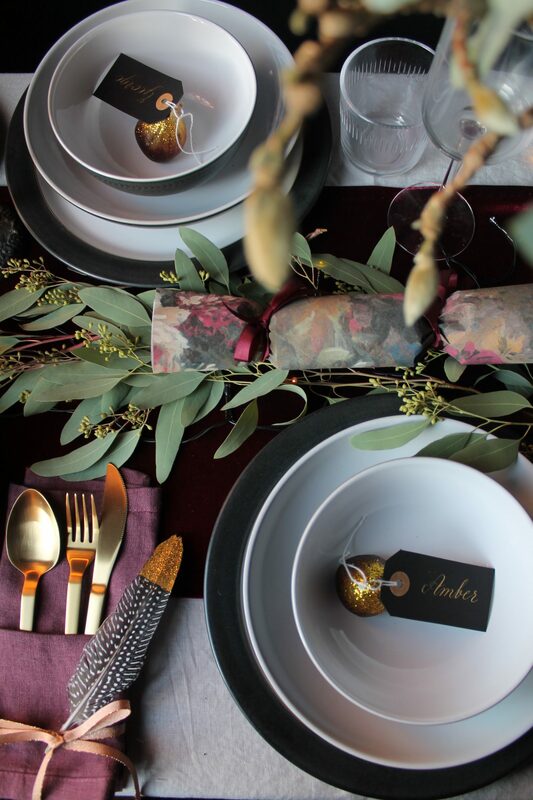 My job as an interiors stylist involves a large amount of shopping for props. “Great” you might be thinking “nice job” but believe me when you’ve designed up to 6 room sets in a week, you can quickly exhaust your usual suppliers of props and homewares, which is why it’s always great when you discover another shop, brimming with beautiful stock with consideration to current trends. 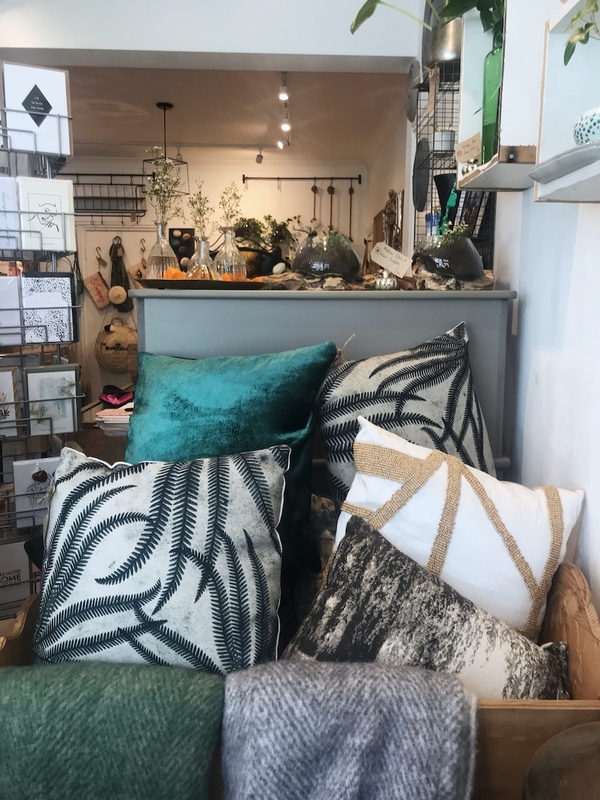 Every time I have been into Kate Harmans shop, Edit & Oak I’ve come away with bags full of lovely pottery, cushions and candles. 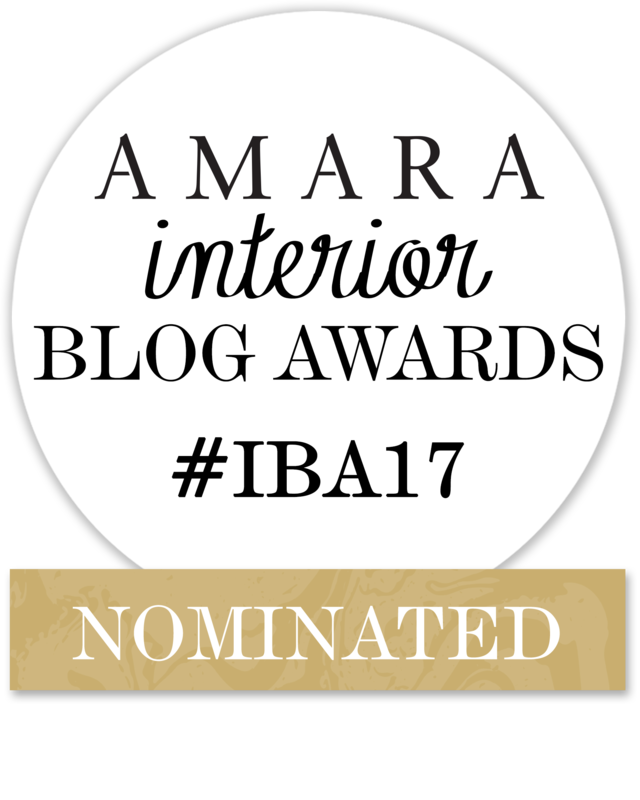 The collections are bought very much with current trends in mind but discretely enough that they can be edited into a current scheme. 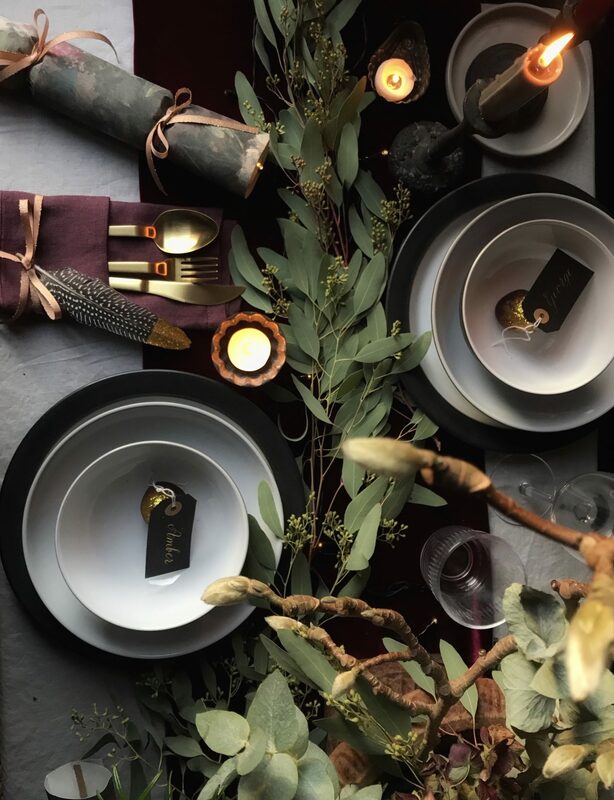 Kate was previously a homewares buyer before she launched her own shop so she has a great understanding of what people need to update their homes with seasonal and current accessories or colours, without the need to change a whole room scheme. 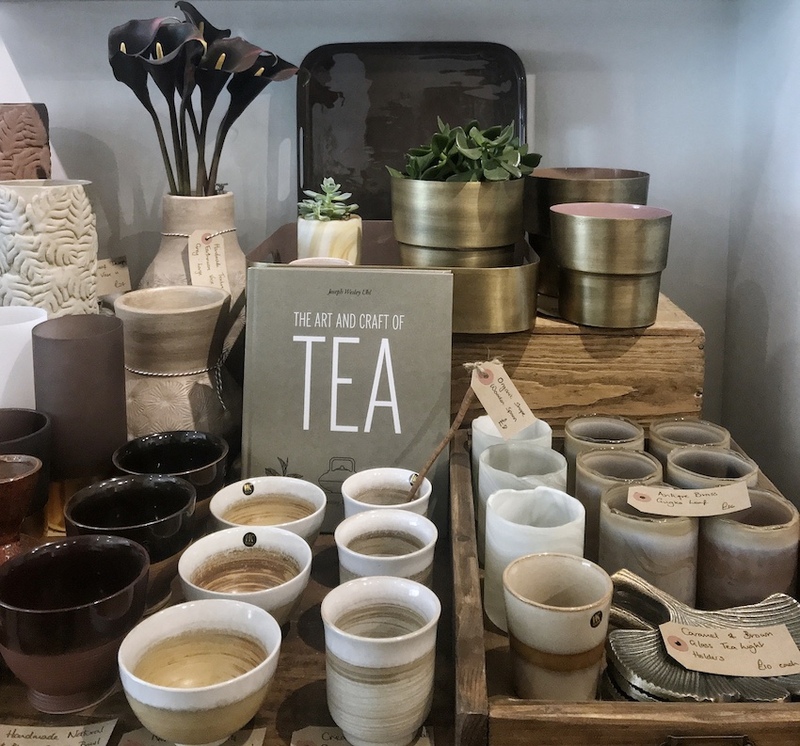 As well as interior items, Kate also stocks a carefully curated selection of jewellery, accessories and scented candles, making Edit & Oak a perfect destination for gift shopping. 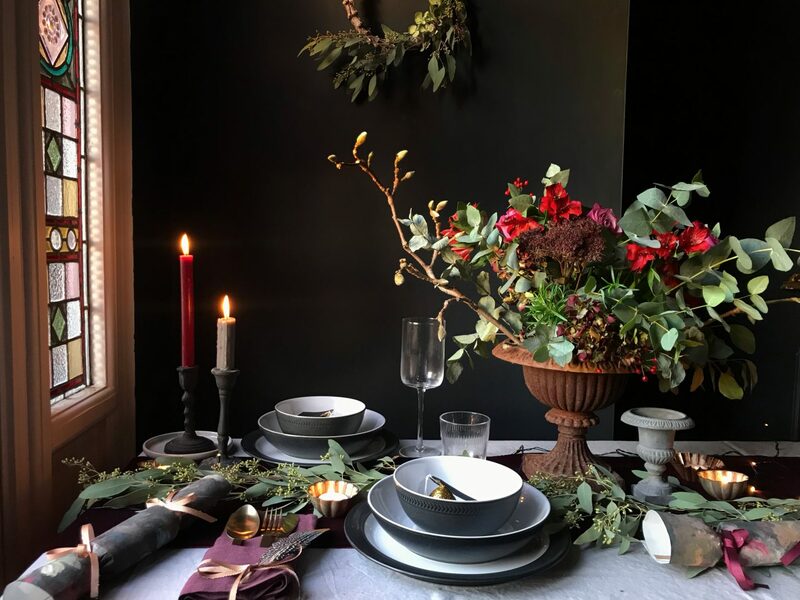 Kate first opened the doors to her shop back in October 2015 perfectly in time for the once neglected Altrincham market to be reborn and rebranded as a destination for food lovers and a place to find independent retailers, salvage dealers and artisans regularly selling their wares from permanant stalls. 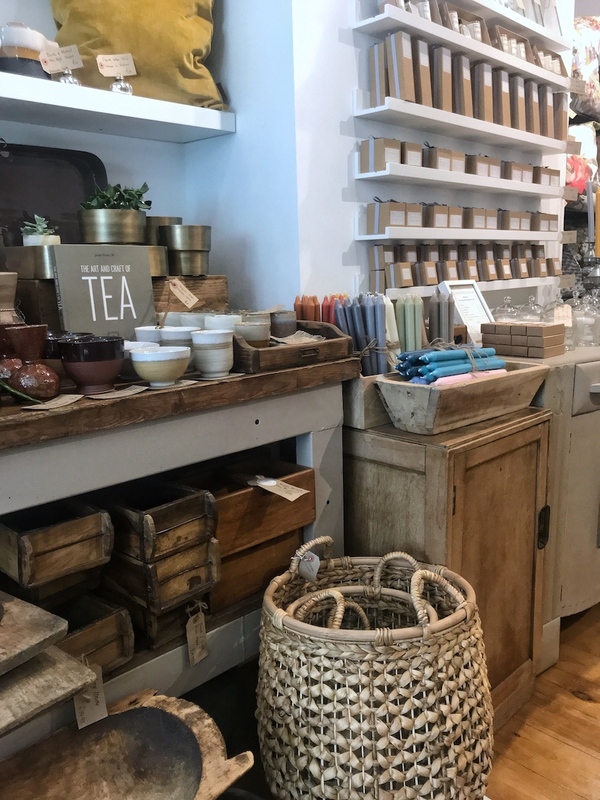 The whole of Altrincham has benefited from the thriving and busy market but Edit & Oak is at the opposite end of Greenwood Street to the market and almost constant building work outside the shop, over the last 2 years, has made it difficult at times for passing trade. 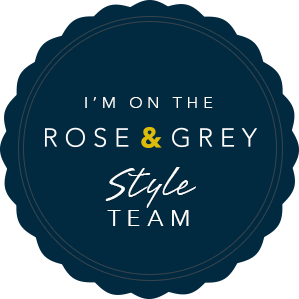 However, this has only encouraged Kate to ensure that the stock she buys is completely unique from any of her competitors which has helped to build up a loyal and returning clientele. She’s also very keen to support other business’s in the location to ensure that the area remains a shopping destination and she does this by avoiding stocking any brands that similar shops in the area sell. It’s a smart move and one that should see Edit & Oak grow from strength to strength. In recent years there has been a steady interest in Mid century designed furniture but that interest seems to be escalating. So much so that popular designs are now being reissued as vintage prices continue to soar and make some originals now out of most of our reach? Unless you are a keen collector and willing and able to pay top dollar to add to your collection, some amazing designs, in good condition and reasonably priced, still exist if you know where to look? 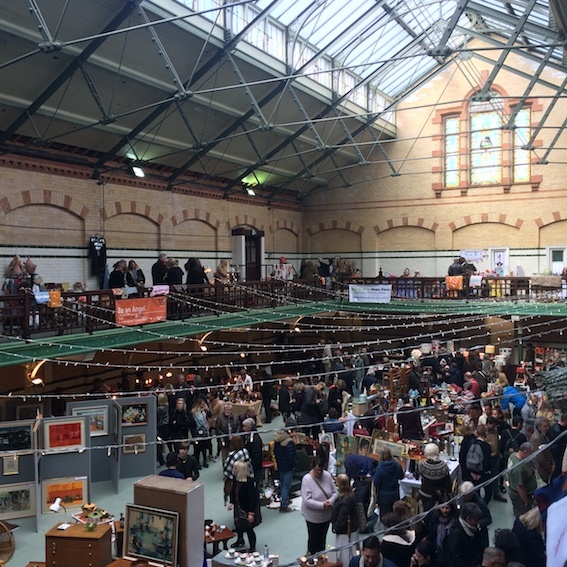 In the North West of England, where I live, we are very lucky to have The vintage Home show three times a year which is a dedicated event for vintage and retro home wares dealers to sell their stock. 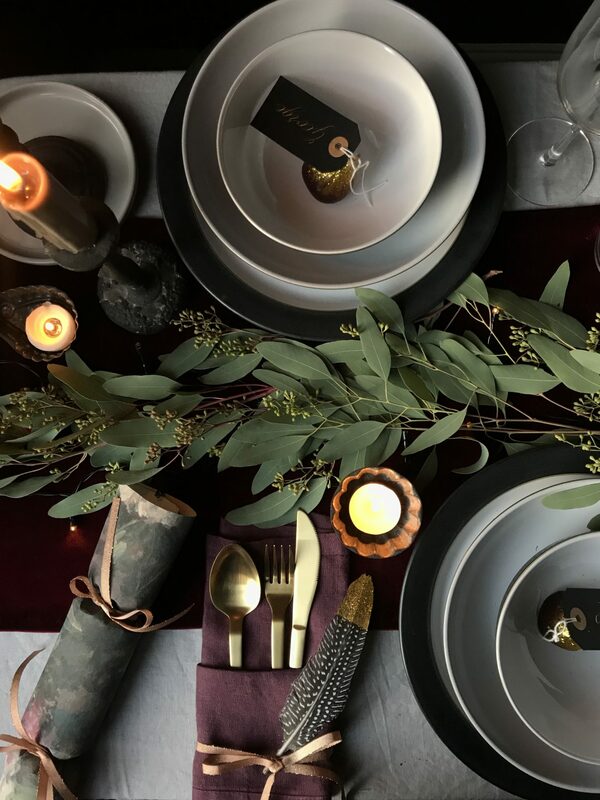 Its a great day for shopping but also making connections with dealers if you are looking for a special piece for your home? You can exchange contact details and hopefully the dealer will, eventually, come up with the goods. 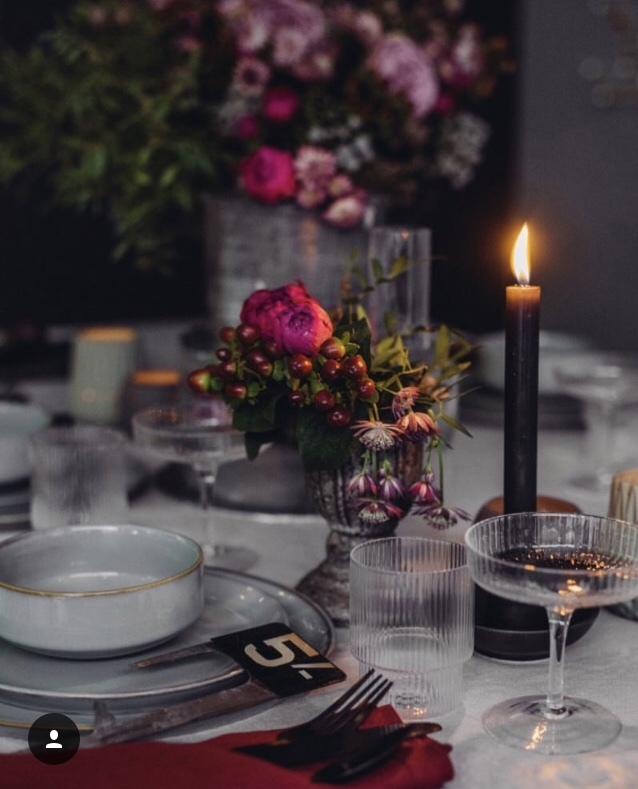 This event is run by Keeley Harris of Discover Vintage and is held at Victoria Baths a fully restored and quite beautiful Victorian bath house. 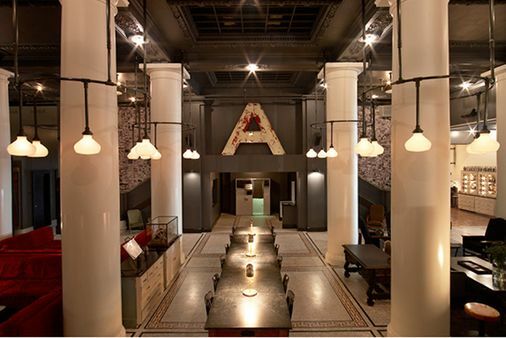 The venue itself is worth the visit alone. For details of further events check the link here. Other similar events run by Keeley are held in Leeds and The Midlands. This year was also the first time The Mid Century Modern Show ventured North and exhibitors showed their collections at The Hepworth Gallery Wakefield. 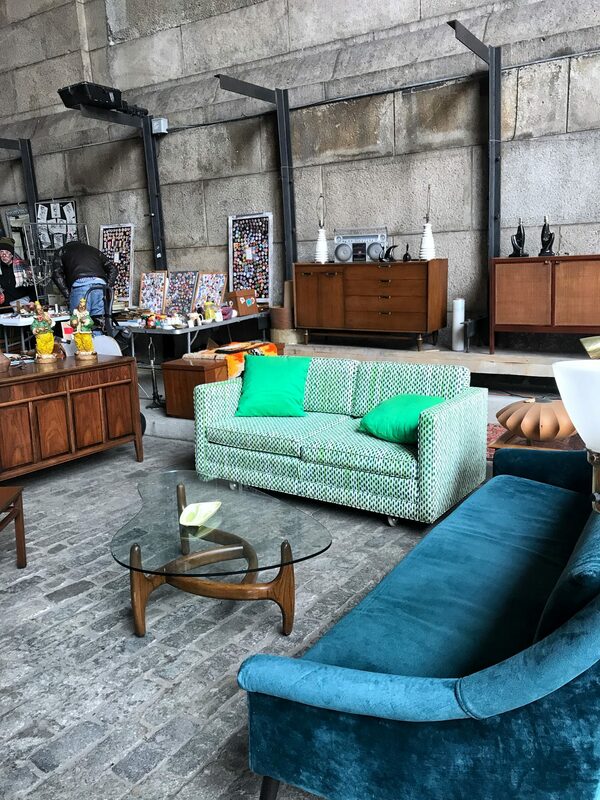 It was probably a collection of some of the best Mid Century furniture I have seen and prices were high but there were some amazing stand out items. Check their site for future venues and dates. 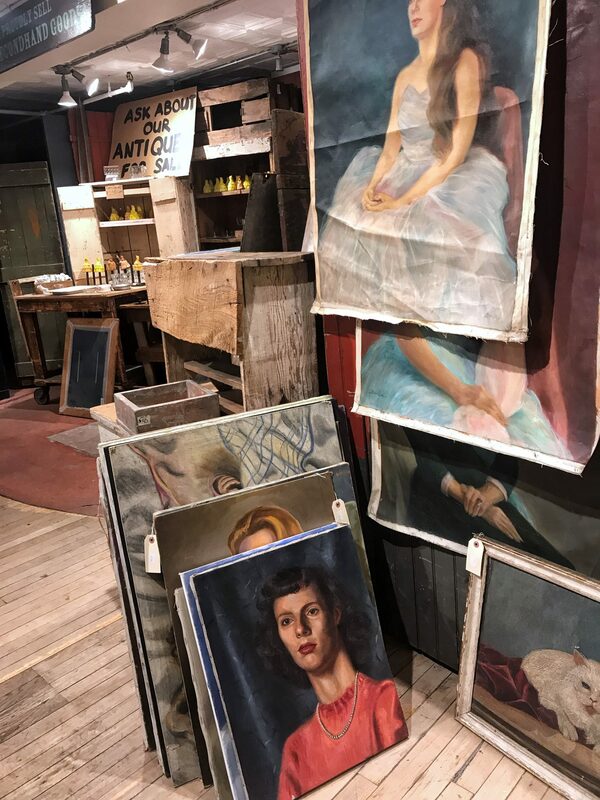 A great local Manchester warehouse full of antiques, salvage and mid century furniture is The Old Mill Antiques in Failsworth. There is always a constant rotation of stock as house clearance vans are regularly off loading their stock on an almost daily basis. Also Insitu Manchester have some great pieces but less on the furniture side now, so ring ahead if you are looking for something particular. 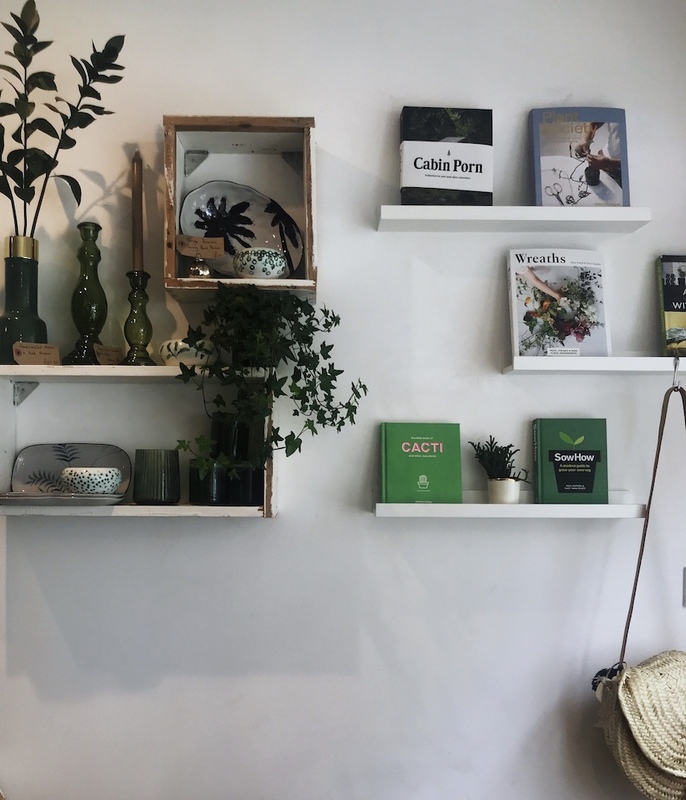 Laurence, the owner, has been buying for years and is constantly sourcing stock all over Europe so will keep his eye out for items if he knows you’re a serious buyer? If you haven’t visited Pear Mill in Stockport, you should. 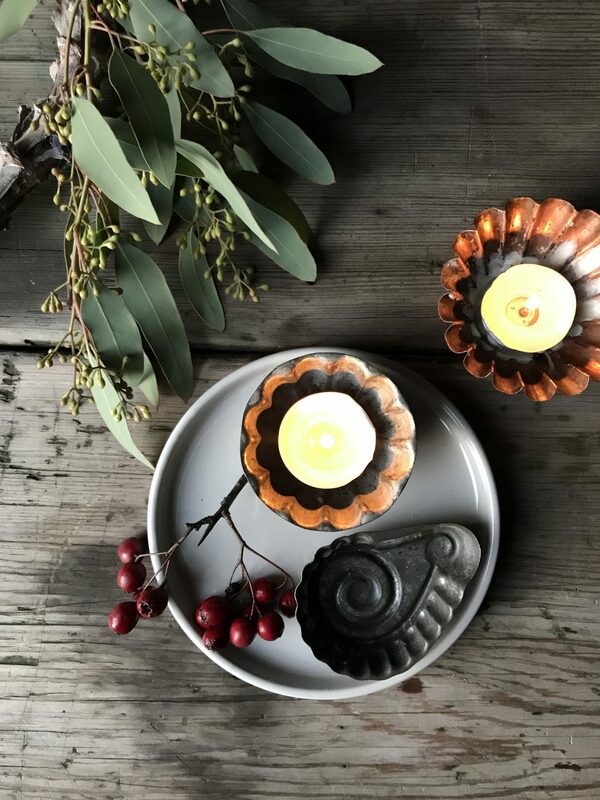 Here you’ll find a plethora of dealers, many specialising in Mid Century pieces, such as US born Laura Gaither who goes under the name of Planet Vintage Girl and regularly visits LA’S Rose bowl bringing back state side goodies for us. One of my favourite ex Pear Mill dealers who have now branched out solo are Whittaker and Gray. 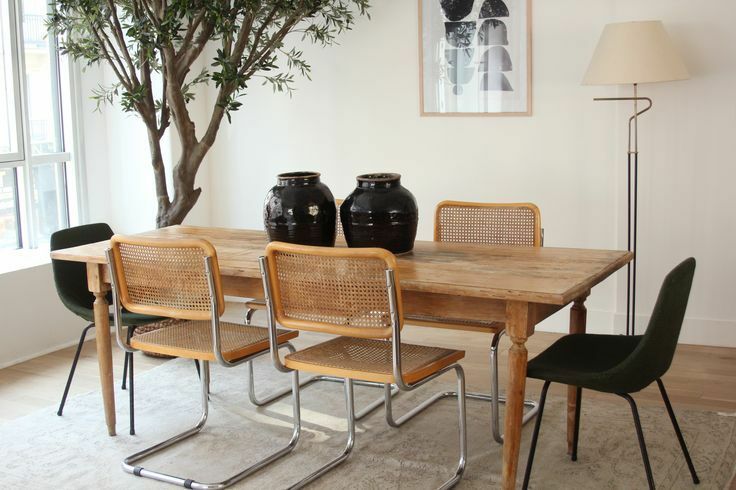 They have some of the best Mid century pieces I’ve seen from dining table sets, to sideboards to statement arm chairs. 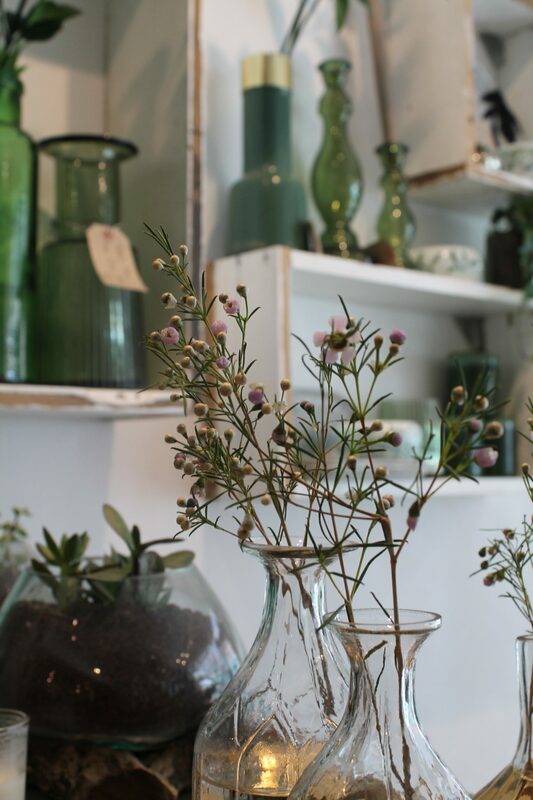 I’ve blogged about Leek in Staffordshire before here but Odeon Antiques has got to be one of my favourite antique shops ever for the quality and quantity of the finds there. The prices aren’t the cheapest you’ll find but the quality speaks for itself. 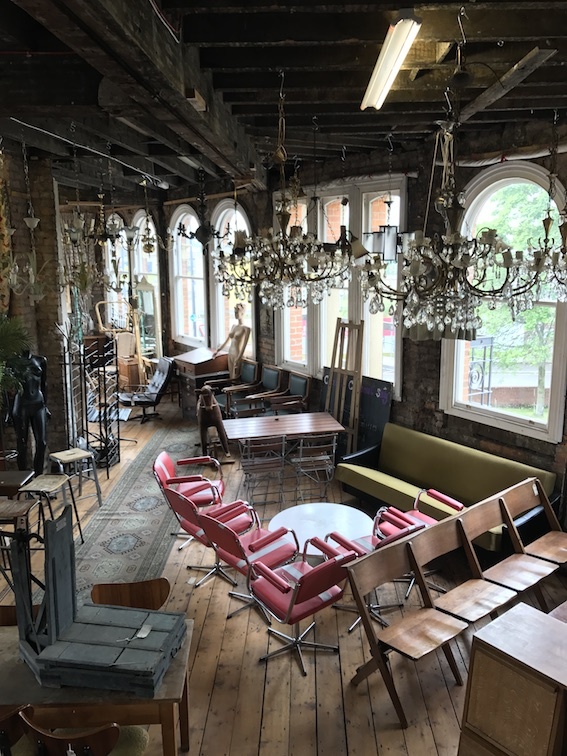 Retrovious in London are specialists in salvage and decorative antiques and often find quantities of dead stock which they sell quite reasonably. 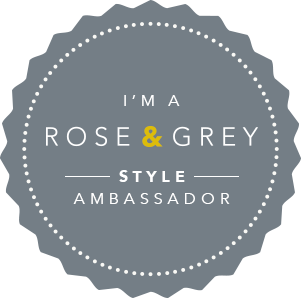 Sign up to their newsletter for updates on regular stock. They usually have a great selection of mid Century seating. 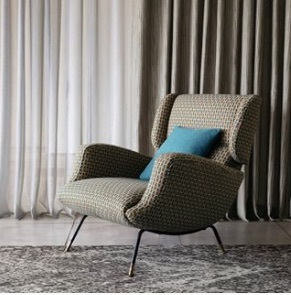 Also based in London is Mid Century specialist dealer Fiona McDonald. Her instagram bio reads stylishly restored midcentury furniture and it is exactly that. 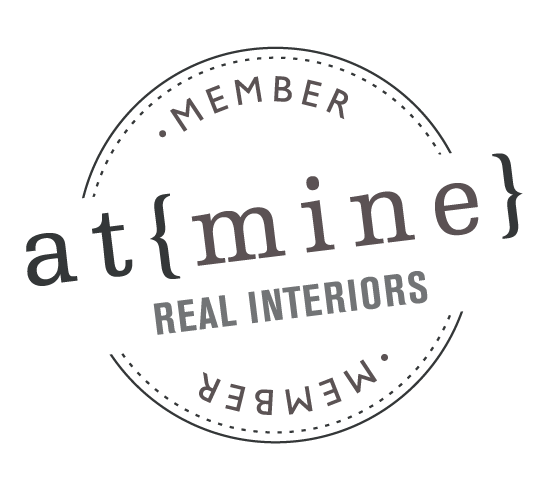 For beautiful lighting, mirrors and furniture, make sure you follow Fiona’s account here. 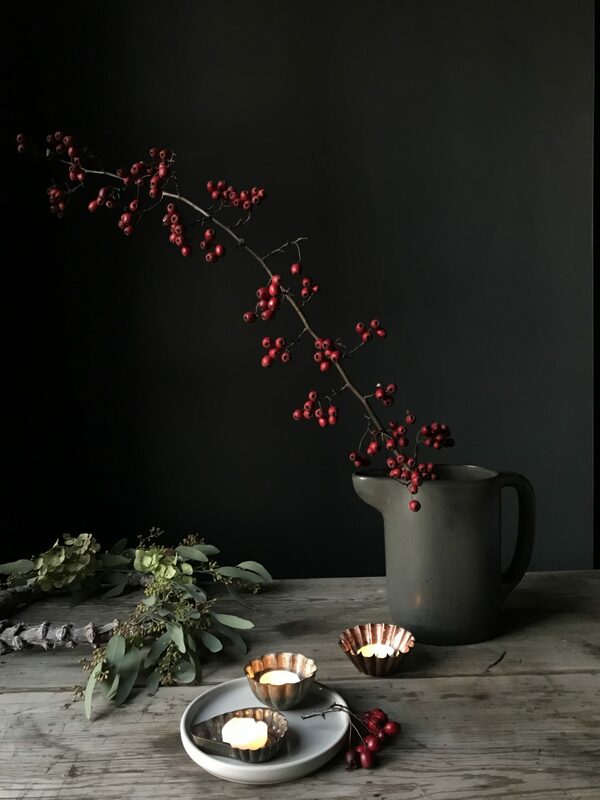 A new website that has recently come to my attention is Selency a French site for buyers and sellers of contemporary and vintage furniture. The pieces can all be shipped to the UK and must be in good condition before loading onto the site for sale. 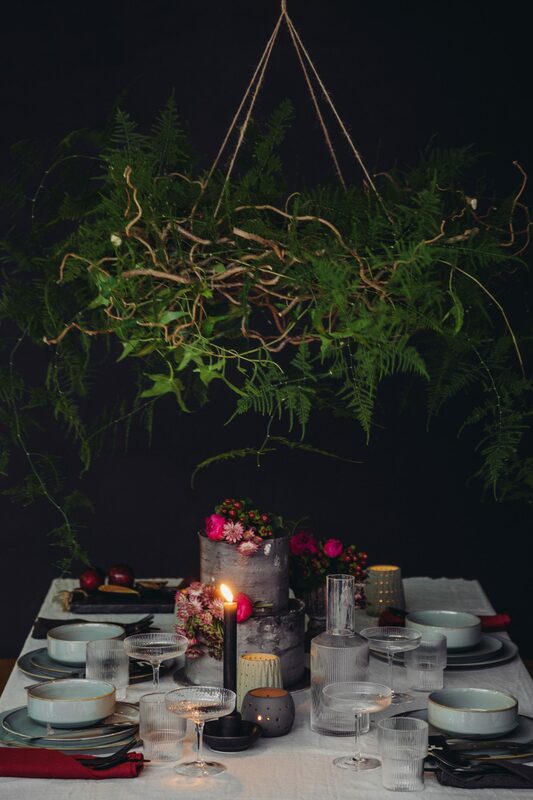 I’ve not used it yet but the reviews in this months Elle Decoration are favourable. 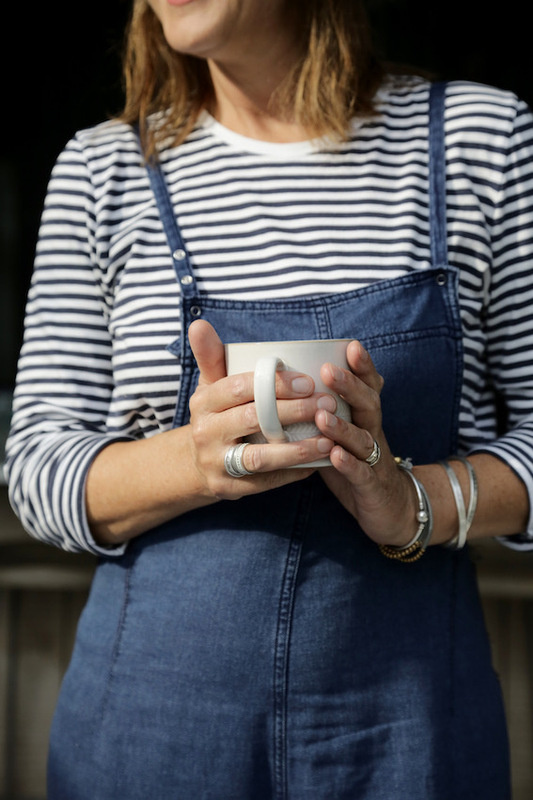 Of course for the best selection of antiques from any era, the European antique fairs held at Newark and Lincolnshire Showground and on a smaller scale Wetherby in Yorkshire are always a great day out. For dates of events check their sites.